We were not able to find any hotels near this destination. We found these hotels for you in Ekaterinovka. 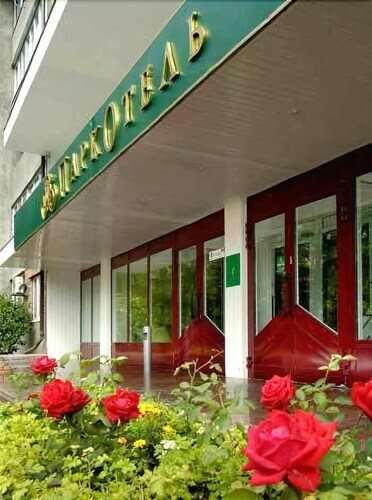 Offering direct access to the beach, this Tolyatti hotel is 1.3 mi (2 km) from Tatishchev Monument and 2.2 mi (3.6 km) from Temple of the Assumption. Pobedy Park and Victory Park are also within 6 mi (10 km). Situated in Samara, this hostel is within 9 mi (15 km) of Samara History Museum, M. Gorky Literature and Memorial Museum, and Samara Regional Art Museum. Chamber Stage Drama Theater and Frunze House Museum are also within 9 mi (15 km). Situated in Tolyatti, this hotel is 1 mi (1.7 km) from Pobedy Park and within 3 mi (5 km) of Transfiguration Cathedral and Rerihov House. Tatishchev Monument and Auto VAZ Technical Museum are also within 6 mi (10 km). How Much is a Hotel Room in Kanuevka? 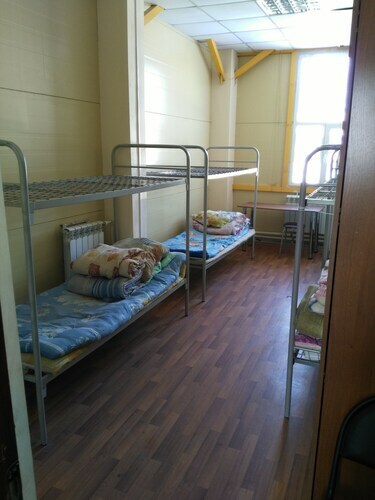 Hotels in Kanuevka start at $77 per night. Prices and availability subject to change. Additional terms may apply. Currently, Travelocity's easy-to-use hotels database contains no hotel listings in or around Kanuevka itself. Around about 370 miles (592 kilometers) away from Kanuevka is Volgograd which is where you can find a selection of Travelocity-listed accommodation options, like the Yuzhniy Hotel and Hampton by Hilton Volgograd Profsoyuznaya. Time permitting, you should visit other parts of the Volga region. Explore Volga's traditional villages and old towns. Anybody drawn to nature could also make the time to admire its forests, rivers and streams. Common pastimes in this region of Russia include skiing and cross-country skiing. Samara is 40 miles (65 kilometers) east of Kanuevka and is home to Space Museum and Samara Beach. The Hotel Green Line Samara and Hotel Oktyabrskaya are just some examples of the Travelocity-listed hotel and apartment choices in Samara. 25 miles (43 kilometers) north of Kanuevka, you may also choose to stay at Tolyatti, home to the Mini-hotel Patio and Mini-Hotel Matreshka. The Transfiguration Cathedral and Pobedy Park are frequented sites to get to know for those visiting Tolyatti. Before you head home, consider spending a few hours enjoying the spectacle with fellow sports obsessives at a local match. You can find Mettalurg Stadium 40 miles (67 kilometers) to the east of Kanuevka. Book a hotel nearby to the sporting action at the Residence Troya Hotel or the Matreshka Plaza. Look up Travelocity's exciting Kanuevka travel guide and unveil the great things to do, see and eat that this area has to offer.